Over 40 years ago, two music educators published a children’s songbook and called it Wee Sing. More than 67 million books, audios and live-action videos later, Wee Sing is recognized as one of the world’s most cherished children’s brands – and a leader in preschool learning through music. Pam Beall and Susan Nipp created that first songbook in 1977 because they were passionate about enriching the lives of kids through music and the performing arts. They knew that music stimulates cognitive, physical, and social development of young children. And through songs, chants, movement, and rhythm, they gain the readiness skills of language, coordination, auditory discrimination, body awareness, rhythmic proficiency, and self-confidence. But in the big picture, kids are just having fun. Pamela Conn Beall was born in Omaha, Nebraska, and raised in Klamath Falls, Oregon, with two sisters and a brother. Music was a large part of her childhood, not only within the family, but as she studied voice, piano, and guitar, and sang in numerous select choirs. She graduated from Oregon State University, where she received her Bachelor of Arts degree in music with a minor in education. After college she became an elementary school music teacher in the Portland area, taught guitar at a community college, and sang with the Norman Leyden Singers and Portland Symphonic Choir. Pam lives in Lake Oswego, Oregon. She has four adult children and 15 grandchildren. Susan Hagen Nipp was born and raised in Spokane, Washington, with two brothers. Music surrounded the family as they sang in the church choir, joined in trios and quartets, and played various instruments. Susan studied piano and flute and was in her high school and college band, orchestra, and choir. She received her Bachelor of Arts degree in music with a minor in education from Whitworth University in Spokane, Washington. Upon graduation, she taught high school English in Washington and later, elementary school music in Oregon. Susan and her husband, Charlie, live in Coeur d’Alene, Idaho. They have two adult sons and five grandchildren. Pam Beall and Susan Nipp met in 1972 while taking graduate music classes in Portland, Oregon, where they were elementary school music teachers. In 1977, as young mothers and former teachers, they wanted to share their favorite childhood songs with their small children. Realizing that they couldn’t remember all the words or even some of the melodies, to jog their memories they searched for collections of children’s songs which were difficult to find. They discovered that traditional music from their childhood and that of their parents was being lost. So, they decided to create a book filled with favorite children’s songs to help not only themselves but all interested families share the joy of music together. After much research and talking to parents, grandparents, and teachers, they published their first book, Wee Sing Children’s Songs and Fingerplays, illustrated by friend and artist Nancy Klein. Two years and 20,000 copies later, their book was acquired in 1979 by publisher Price Stern Sloan, now an imprint of Penguin Random House. Realizing the need to create more product that promised wholesome, educational fun, Pam and Susan continued to develop new titles. In 1981, they broke new ground in children’s publishing with the addition of audiocassettes to their established songbook collection. Barry Hagen and Mauri Macy of Early Bird Recordings in Newberg, Oregon, were selected to produce the music. More than 40 audio products were created. 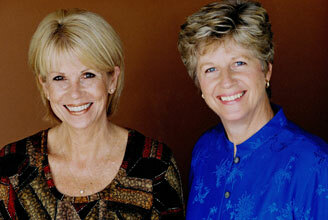 In 1985, Pam and Susan pioneered the market once again as the first Wee Sing video was produced. Wanting to offer children education through entertainment, the Wee Sing videos present lively musical stories that have a simple moral. They also get kids up and moving along with the many silly and colorful characters in each video. Most of the videos were produced in Portland, Oregon, by Poulshock Productions (now Red Door Films). Wee Sing entered the digital space by launching two apps based on their popular Wee Sing & Learn board book series: Wee Sing & Learn ABC and Wee Sing & Learn 123. Additionally, the albums, videos, and video soundtracks are now available in digital format on iTunes, Amazon, and other online stores. The brand has been going strong for over 40 years with more than 90 titles having been created in different formats including songbooks, cassettes, CDs, coloring/activity books, toys, videos, apps, and digital product. Wee Sing is used not only in the United States by educators and parents to teach traditional and original music but in Europe, Asia, South America, and Africa to teach English through music. Over 67 million product items have been sold around the world. People Magazine's "Picks & Pans"
TV Guide's Special Parents' Guide, "Tops in Tapes"
TV news and talk shows throughout the U.S.
Over 67 million books, tapes, CDs, videos, albums, toys, apps, and digital product have been sold around the world. Share Wee Sing with your children and give them a gift for life. "Head and shoulders, knees and toes, knees and toes..." A young child and his parent are happily singing a favorite song while pointing to these body parts in rhythm. Fun? Yes. But only fun? Overwhelmingly, no. An immense number of things are occurring with the cognitive, physical, and emotional development of this child. And, recent brain research is telling us that early experiences actually affect the physical development of the brain. This early "wiring" of the brain shapes the way a child thinks, learns, and behaves for the rest of his life. While singing this simple "Head and Shoulders" song, language is developing. Vocabulary expands as the child learns about the subject of the song. The words are heard as syllables, or broken into syllables as in "shoul-ders." While singing, the child begins to enunciate the words more clearly, assisting with speech. The words have tone and rhythm and inflection which add to phonemic awareness. Listening skills are increased as the child mimics the words being heard. He matches the tones of the melody as they move up and down and he corresponds the tones to the rhythm. The singing of the song might be loud or soft, fast or slow. All of this auditory discrimination is enhanced as the child combines rhythm, pitch, words, and movement. Reading skills begin at this early stage of life. Vocabulary expansion, differentiating between sounds of letters, hearing patterns, pitch, and rhythm, and detecting rhyme are all important pre-reading skills. Again, all of this occurs while singing a simple song. Attention span, concentration, and memory are all enhanced when children sing, chant, and move to the music. Children love repetition and when singing favorite songs over and over there is both verbal and tonal repetition which assists memory. When singing "Head and Shoulders," there is great concentration to match the words and melody with the movement, which also adds to the attention span. Adding melody to the language enhances the learning process. How did most of us learn our ABC's? Physical development is also affected by moving to music. Coordination improves as the child feels the beat and moves his body to the rhythm. In this song, the child points to body parts at specific times to specific words and to a specific beat. There are many simple songs that encourage a variety of skills including ball handling, clapping, small and large motor movement, and basic body movements such as skipping, hopping, and marching. Even emotionally, the child gains from early childhood music. Of course, singing with a parent or caregiver brings joy as they share in the spirit of the song; bonding helps children thrive. But there is also great self-confidence growing as the child remembers the words, matches the tones, and performs the movements in rhythm. As the child grows older and begins to read music and play an instrument, abstract reasoning occurs as he transfers the meaning of a note symbol into a pitch or key on an instrument. Math skills develop as notes are understood to be fractions of a whole. Music can be an amazing tool for stimulating the brain structure of a child. And yet, as the neurons connect and the synapses are strengthened by a rich environment of sounds, rhythms, vocabulary, emotion, and movement, the child is simply having fun.